People are spending more and more of their time on their mobile devices. Smartphones continue to improve and now allow people to do whatever they used to do on the desktop on their mobile phones. Reading emails, checking to-do lists, playing games, commenting on a friend&apos;s social status, or even watching movies can now be accomplished via phone. 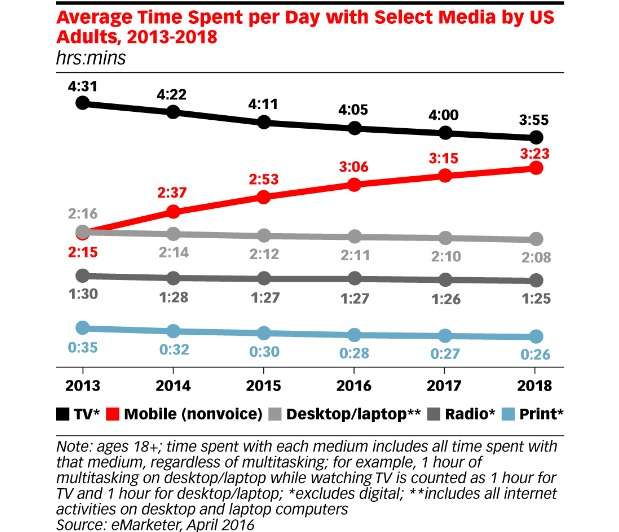 According to emarketer.com and noted by Geomarketing, mobile use is rapidly growing while the amount of time people are behind a laptop or desktop is shrinking. Google just published their interesting finding on "How People Use Their Devices" and what Digital Marketers need to know about those behaviors. In the average day, a user will use a mobile device 80% of the time while only reaching for a laptop or computer 67% of the time. Users also spend more time on the internet using mobile devices compared to desktops. Google has been making moves to push the internet into a mobile friendly place by pushing out mobile first indexing. What does all of this mean for DMOs? It means DMOs should not only pay attention to how their destination websites work on a mobile device, but should design their sites to be user-friendly for all those mobile users out there. The ability to do almost anything with a smart phone encourages people to do much more, including activities related to travel planning. They can plan their next vacation by browsing destination websites, book tickets and hotels, etc. When travelers are in the destination, they look for local attractions, restaurants, transportation, and more. Then, when they are back home, they share their experiences through social media and submit online reviews. From an industry standpoint, mobile usage is up, but is this trend applicable to DMO websites? It is possible that our websites&apos; users are following the same trends. To verify this, Google Analytics has robust metrics that we can use to get to know our visitors&apos; behavior. Than click on "Mobile" to show the data based on device category. From the example report above, we can see that during the reporting period, the mobile users&apos; sessions have exceeded the desktop number. However, the data might also be a bit concerning-the mobile users browsed fewer pages, didn&apos;t spend as much time on the site, and the bounce rate is quite high. To research this further we can broaden our research by putting more metrics into the report, for example: landing pages. In this case, we find that the behaviors between mobile and desktop users are pretty similar. They visit nearly the same pages, but the mobile users spend less time on the page. Why? There are a couple of reasons why this might be the case. Either our website is so responsive visitors can find the information pretty quickly. The opposite could also be true-the website is not adjusting to mobile screen size, the pages have too much text, or the pages were too slow to load. Knowing this data-what kind of information our mobile users are looking for, which pages they are visiting often, what demographic background makes up this group, etc.-will help us to build our strategy so we can provide information they are looking for quickly and in a more efficient way. Move away from the mobile site ".mobi." Instead, redesign the existing website to become a responsive web design. This would mean focusing efforts to maintain a single website. Data are combined from any mobile device and, at the same time, give visitors on mobile and desktop a good user experience. Rebuild the content. With user behavior and engagement data, the most advantageous and valuable content can be created to direct users to relevant information in more efficient ways. Optimize load time. Ensure that images and graphic elements are optimized for web viewing and do not slow down load times. Use content types wisely. The typical mobile cellular network is slower than WiFi or Ethernet, so avoid using heavy bandwidth content, flash programs, or too much text that can cause never-ending page scrolling. In the research and implementation phase, we rely heavily on data. Depending on your research findings, you can monitor several data points to see if you are achieving success with your efforts. Of course, keeping all of this data organized and in one place can be difficult on its own. One of the tools that we can use to help us present this data in a more organized way is Destination Dashboards. We can pull the most important data to the Destination Dashboards tool and combine the information from various sources. 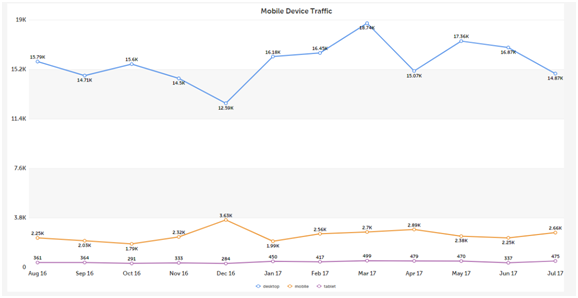 By creating key metrics in the Dashboard tool, we can monitor monthly changes in mobile and desktop behavior. Choose Data Type: "Analytics," and fill in the information related to the GA account. GA Profile: Enter the unique ID that is created when setting up a Google Analytics account/view. GA Profile Calculation: If more than one profile has been entered, this setting will determine how that data will be treated. Choose Sum. 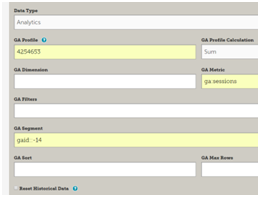 GA Metric: A metric is a parameter that measures data (example: ga:sessions). GA Segment: Similar to filter, a segment is also used to restrict the data. However, the segment has more flexibility and broad coverage of data. Enter: gaid::-14. This will pull data for mobile devices. Create a graph as needed. 3. Create a graph as needed. Leave the GA Segment blank. Using segments and filters, the dashboard can show specific mobile data or filter mobile usage of the website. Visitors to our sites are using their mobile phones more today than any time in the past. In many cases, more than 50% of all the traffic coming to our sites is coming from mobile devices. This means we should be looking at the site through the eyes of a user on a small screen to make sure the experience is just as good or better on a mobile device. 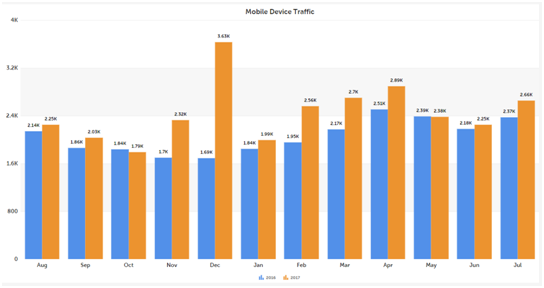 By setting up mobile metrics in your dashboard, you can track the specific actions of mobile traffic versus desktop traffic and make adjustments accordingly. As always, your business intelligence team is here to help! Please let us know if you would like to see mobile first metrics set-up or would like to know which metrics we recommend. 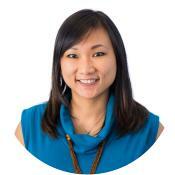 Linda Tandjung joined the Simpleview team just in time to participate in the 2017 Summit. When she's not helping out with and taking in our biggest users conference to date, she works with the Business Intelligence team of analysts and developers to implement and update Destination Dashboard services based on client requirements.